If you’re planning a significant purchase, such as a new riflescope, or a couple new barrels, then head over to Bruno Shooters Supply in the next two days. Now through 8:00 am on May 31st, 2016, Bruno’s is running a Memorial Day Sale. 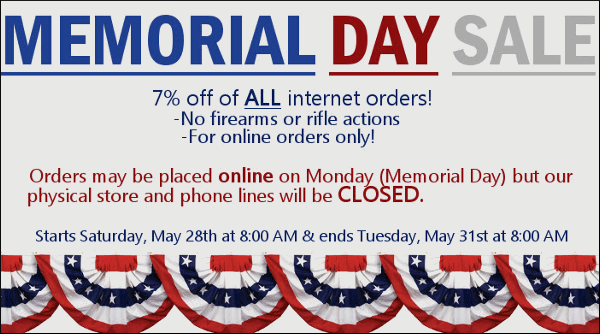 You can get 7% off ALL online orders (other than firearms or actions). So you can save 7% on optics, 7% on powder and primers, 7% on barrels, 7% on reloading tools… you get the idea. Doing the math, seven percent off a $2000.00 scope is $140.00 — that’s a fair chunk of change. NOTE: This deal applies to Online Orders Only, placed through www.BrunoShooters.com. (Phone lines will NOT be open over the holiday.) Bruno’s stocks all your favorite products, including brass from Lapua and Norma, bullets from Barts, Berger, Sierra, and Nosler, dies from Redding and Wilson, and Powder from Hodgdon, IMR, Norma, Alliant and Western. 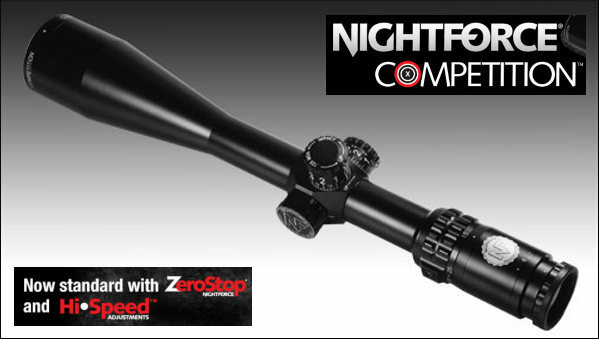 Bruno’s also has a large selection of optics including comp scopes from Leupold, Nightforce, Sightron, and Weaver. Share the post "Bruno Shooters Supply Memorial Day Sale — 7% Off"